Excitement, speculation, wonder and interest ran high in Sonko-Huara, for news had been spread that Kespi-Nanay had returned. It was almost as though a person had returned from the dead. In a way, it was more amazing, for persons had been known to be resuscitated; moreover, everyone knew that death was merely a state and that the spirit that left one body took possession of another. But Kespi-Nanay had not died. 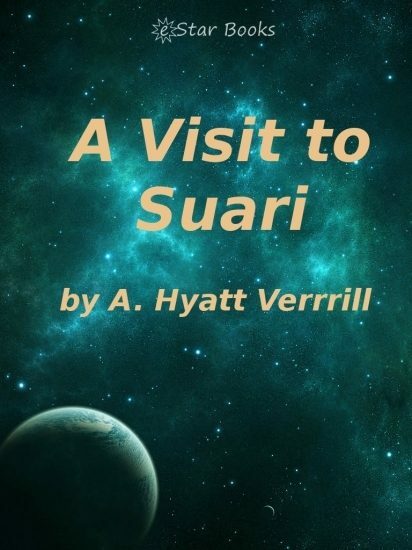 He had merely disappearedvanished completelythree Chukitis (years) before, after declaring that he intended to visit Suari, that great, glowing, mysterious planet that from the very beginning of history had been a source of wonder, of study and of baffling mystery to laymen and scientists alike. It was the nearest planet to Sonko-Huaranear, however, only by comparisonand separated by some forty-odd million Tuppus (miles) of space. Yet through the ages the astronomers of Sonko-Huara had learned much about their great, glowing neighbor, that, like their own planet, raced about the sun and rotated upon its own axis, so that the Sonko-Huaran scientists knew that the seasons, the climate, the alternating days and nights of Suari must be very similar to their own. The Sonko-Huaran astronomers, the scientists, even the common people became greatly excited and intensely interested in this theory. What manner of creatures could dwell upon Suari? What unthinkably strange and primitive beings they must be to till the soil and raise cropsindustries that had been abandoned, forgotten by the Sonko-Huarans countless ages ago.